Manchester United will look to drag themselves back in to the title race with a win when they take on Manchester City at the Etihad Stadium on Sunday afternoon. Jose Mourinho has been speaking to the media at his pre-match press conference this morning and has provided a full team news and injury update ahead of the game including the latest on Romelu Lukaku while the United boss also confirmed they suffered no new injuries following the victory over Juventus. 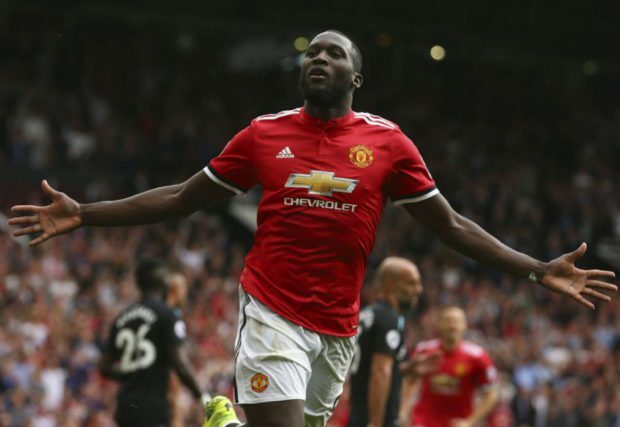 Lukaku missed United’s 2-1 victory over Bournemouth last week after suffering a muscle injury in training ahead of the trip to the south coast and the striker also sat out Wednesday night’s dramatic Champions League win over Juventus in Turin. However, Mourinho has confirmed a huge boost with the news that Lukaku will resume full training today and is expected to be assessed at Carrington tomorrow to determine his availability for the Manchester Derby. As long as Lukaku comes through the two training sessions unscathed, then the Belgian international striker could be back in contention to start against City on Sunday afternoon. “No new injuries. So from Juventus, we don’t bring important injuries. We have ‘touches’ but I don’t think any player that was available for Juventus will be out. It will be a big boost for United if Lukaku is available again this weekend but it will be interesting to see if Mourinho hands him an immediate recall as the striker was badly out of form before his injury and Alexis Sanchez has impressed up front during his absence. The United squad heads to the Etihad in great shape as a number of players have returned to fitness in recent games while Antonio Valencia is also close to being back in contention after recovering from a knee injury. The only other injury concern is Diogo Dalot and the full-back is working his way back to fitness from an unspecified knock. United currently sit seventh in the Premier League table but can cut the gap on leaders City to six points with a win on Sunday so Mourinho will be desperate to make a statement of intent this weekend. New Customers can get Man Utd at an enhanced 150/1 to beat Man City. Max Stake £1. Winnings paid in free bets. Full T&Cs Apply. 18+|Gamble Aware.